Ariz. Game & Fish Dept. The Hualapai Mexican vole is a subspecies of the Mexican vole. It is a small rodent found in mountain ranges of northwestern Arizona. It is cinnamon-brown in color with a short tail and small round ears that are nearly hidden by its long, loose fur. It's nose is small and blunt, and its legs are short. This species inhabits ponderosa pine-Gambel oak forests, and is restricted to only a few isolated ranges at elevations as high as 8400 feet. Mexican voles are known to live in colonies in grassy openings of the forests, especially in the vicinity of old logs that are party decayed and well-bedded in the soil. The are also known to make well-defined runways through tall grass and around stones found in open ridges, under shinnery oaks, and even into the edge of dry woods. This species may feed only on vegetation, such as grasses, herbs, roots, and bark. The reproductive behavior of the Hualapai Mexican vole is unknown. The gestation period of females may be between 20 to 24 days, and the litter size is believed to be small. 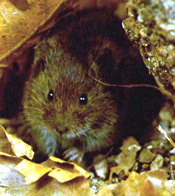 There are only a few small isolated populations of the Hualapai Mexican vole, and there is a threat of extinction due to habitat loss and degradation. Conservation plans include the continued study of its biology and habitat which will help to develop and manage conservation strategies for all remaining vole populations. Glenn, C. R. 2006. "Earth's Endangered Creatures - Hualapai Mexican Vole Facts" (Online). 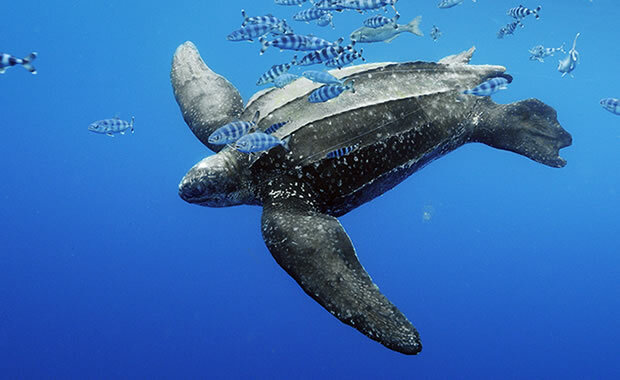 Accessed 4/24/2019 at http://earthsendangered.com/profile.asp?sp=919&ID=9. Need more Hualapai Mexican Vole facts?